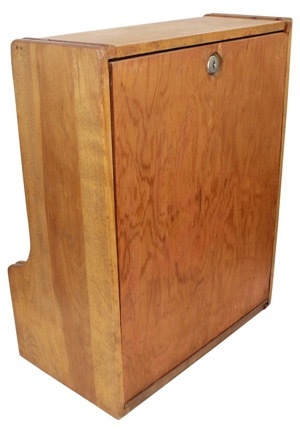 Baker Novelty Company manufactured wooden Kicker and Catcher game. The game measures approximately 14x17.25” and features a spring loaded "kicker" that kicks a pinball into a track where a "catcher" tries to catch the ball. Costs 1 cent to play five balls. 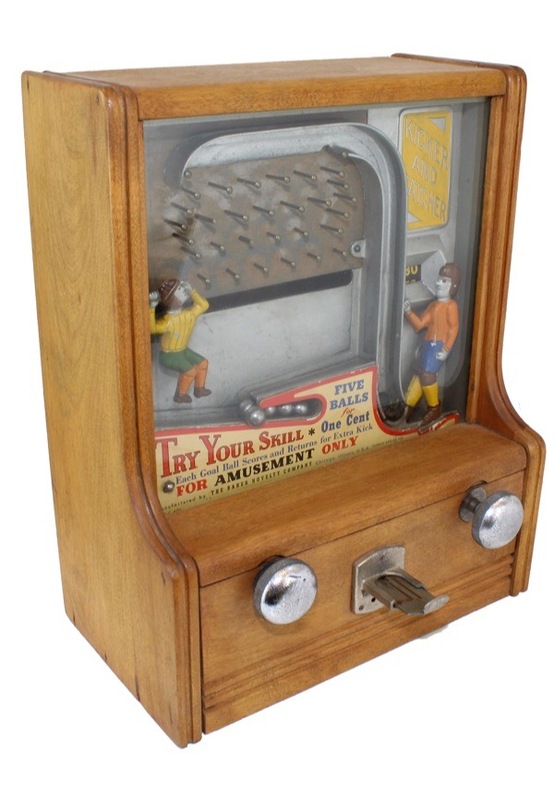 The game shows vintage aging and wear.